For many people who are trying to lose weight, it is necessary to cut out certain foods that are thought to be bad. However, the truth is there are many misconceptions when it comes to certain types of foods that can be enjoyed despite the possible consequences. One of those foods is called Paella. 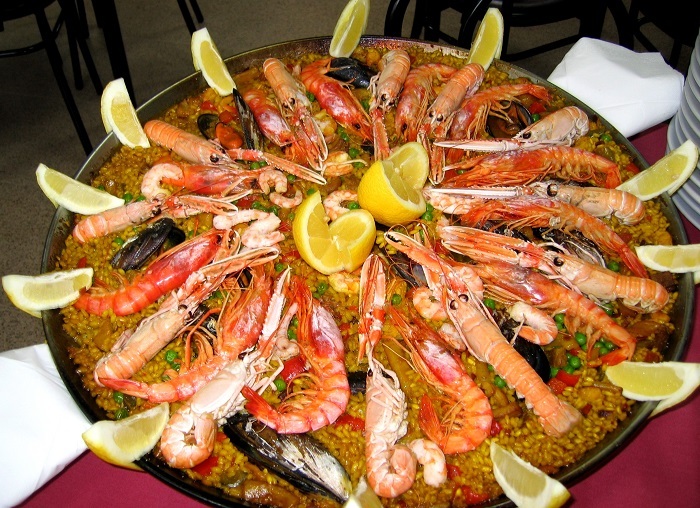 Paella is made mostly of yellow saffron rice, spices and one of the following meats; seafood, pork or chicken. This Spanish dish which comes from an area called Valencia and is a very popular food. This dish is very popular in Perth because of the it is prepared by Kamal’s Quarter. For those who are on a diet and trying to lose a few pounds or even just trying to maintain a certain weight level, your caloric intake is very important. Since Paella is fairly high in calories due to mainly the amount of carbohydrates from the yellow saffron rice and the high protein meats, it can be safely eaten moderately. If you stay true to the portion size and only eat a one cup serving of Paella, you would be able to maintain your caloric intake at a healthy level. One of the secrets of losing weight is being able to achieve a feeling of fullness quicker. By fooling your mind into thinking your stomach is full faster will turn off the sensor in the brain that triggers the desire to eat. Fiber is one of those nutrients that can help you fill your stomach faster and gives you the feeling of fullness faster. While the amount of rice in a one cup serving of Paella has a lot of carbs, it also has a moderate amount of fiber and protein in the 345 calorie food. Sometimes carbohydrates get a bad rap and are often blamed for weight gain. The truth is they are actually an important part of your overall diet and can be safely consumed in moderation. While certain carbs should be avoided, such as sugars, which are an example of a simple carbohydrate. These can cause spikes in insulin levels and that can lead to diabetes and other issues. The goal is to eat more complex carbohydrates and more fiber which helps you to avoid the insulin spikes. The yellow saffron rice in the Paella does add 40 grams of carbs, but since the yellow saffron rice is not the same as white rice which is commonly thought to be bad for your diet. Since Paella contains meats there is another concern beyond carbs and that is fat. While chicken is mostly regarded as lower in fat, you need to be careful about the types of seafood you put into it and also pork can be a bit high in fat content. As long as you stick with shrimp, oysters and clams seafood is not a bad choice. You will want to avoid sausage such as chorizo which is very high in fat. Regardless of what kinds of food you eat and your caloric intake is if you are always sitting on the couch all the time, you are going to gain weight. You can help to avoid this by adding a bit of outdoor activity every day. You may be surprised how much better you feel by getting up off the couch or the chair and enjoy the great outdoors more often.